One question that I get all the time is how I managed to keep my hair manageable, even though it’s been bleached over and over again. I’m not going to lie, it did take a while to get it back to a manageable condition after wrecking it with bleach and other dyes. It was pretty straw like, and I suffered a lot of breakage for about 1/2 months after colour processing. It took a while to find the right products for me, and everyone’s preferences and needs are different. However, if you stick to a damaged hair routine, your lovely locks should recover in no-time! 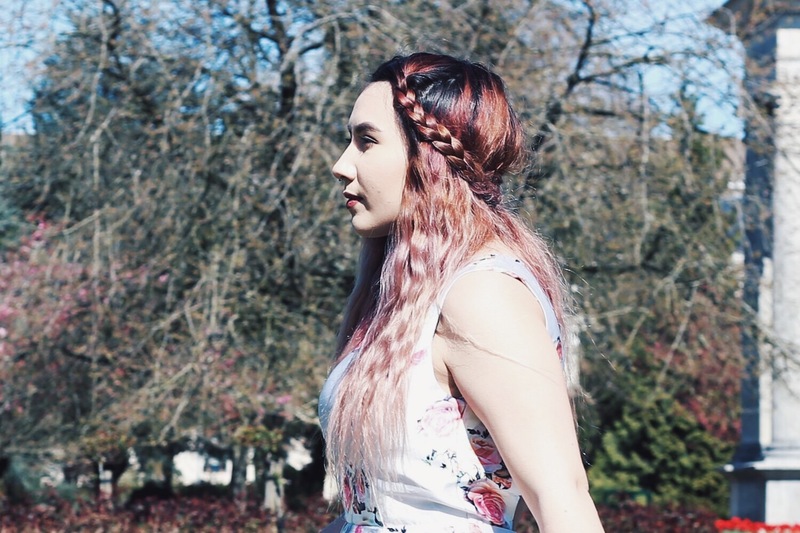 Because I’m a student, and I definitely know how it feels to be counting the pennies, I’ve included different budget options – indicated as (save) or (splurge) – so everyone can get their hair into a tip-top manageable state again – yaaay! One thing that I developed from bleaching the majority of my hair for about 3/4 years now, is dry-frizz. My hair had become so dry that it may have come out of the shower looking fab, however when I tried to blow dry it, it became an absolute mess. I started using John Frieda Frizz Ease Forever Smooth Shampoo* and Conditioner* (save) about 2/3 months ago, and it has changed up my frizz game completely. I love the creamy conditioner formula, and both products are so affordable – especially if you want to use them together as a team! I’ve found that I don’t need to use them every wash for the desired effect too, which allows me to use other products targeted for my colour treated locks. 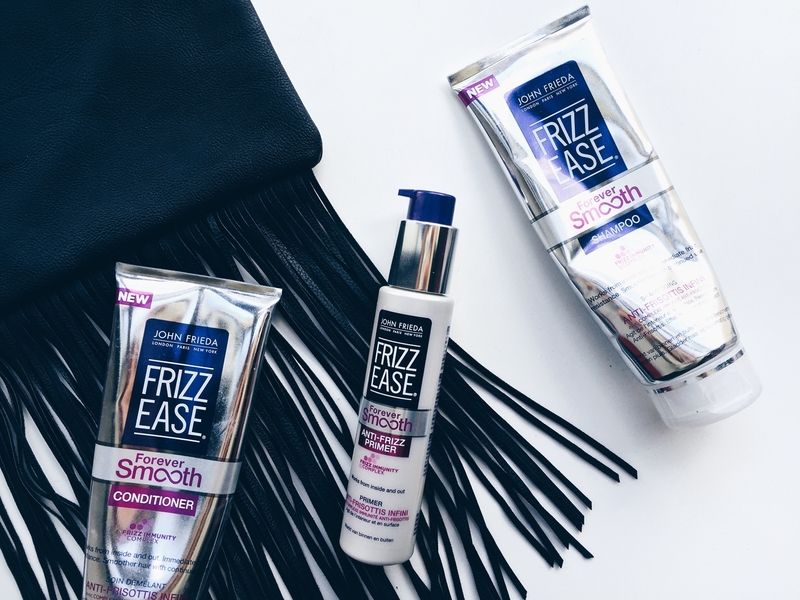 I do love using their Anti-Frizz Primer* about once/twice a week, and it’s also safe for colour treated hair – yaaaas! I apply it to towel dried ends for long lasting smoothness throughout the day, even if it gets a bit humid. If you’re lucky enough to splurge on this one, Philip Kingsley do a wide range of high-end products that I absolutely swear by. If I was to splurge on a shampoo and conditioner, it would be one of his basically. You can have a wee peep on the website to use their Product Selector which identifies your hair type and hair needs – and suggests products for your particular case. My top picks are the Re-Moisturising Shampoo and Conditioner (splurge) paired with the Elasticizer pre-treatment. So the average adult sleeps for on average 6-8 hours per night. Hello, this is precious hair healing time, ya feel? Imagine slathering on a great conditioner and leaving it on for that amount of time. You can do this, I actually have done this and it works. There are some targeted products for use overnight that really do help to boost hair strength and moisture. My faves are Umberto Giannini Overnight Beauty Moisture Balm (save) and the Grow Gorgeous Overnight To Gorgeous Hair Masque* (splurge). However, both products do work very differently. The Umberto Giannini type is to be applied to dry hair as a “moisture top-up” and is a non-rinse formula. I love popping this by my bedside and just adding a little to my very ends when they’re feeling a little candy-floss like, if ya feel me. The Grow Gorgeous variety, whilst a little pricey, really does bloody work gals. You do need to fully saturate your hair with it, and lay a towel down to prevent damage to your bedsheets. Then wake up, rinse off, and amaze your peers. TIP – One 190ml bottle of Grow Gorgeous doesn’t go far if you have very long hair like m’self. I would personally suggest that anyone who wants their hair to recover should stop using heated stylers altogether. Yes, this includes a hairdryer – I know, it’s pretty scary. I found that every time my hair felt like it was getting a little bit more manageable, I’d give it a cheeky straighten and it would frizz up and dry out all over again. 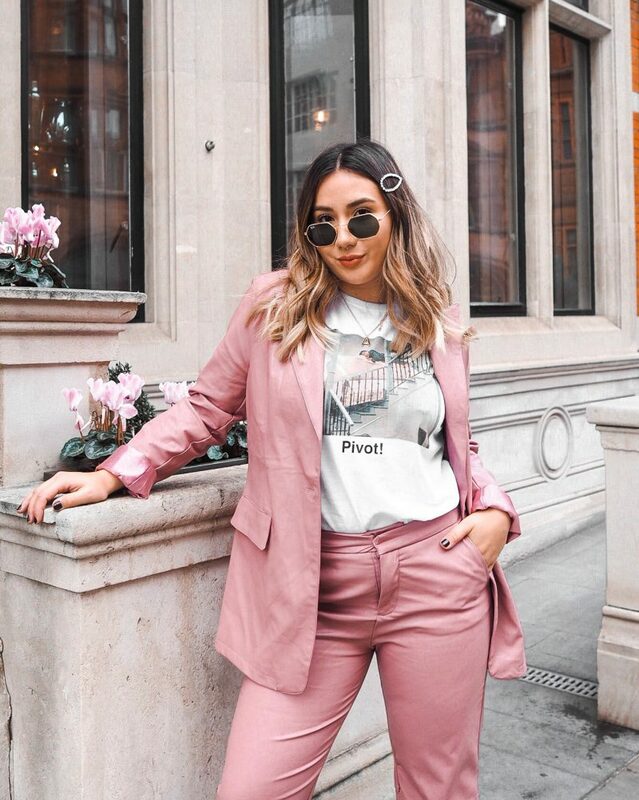 I think I went about 3/4 months without using any heated styling equipment, and now I can give my hair a blow dry everyday and not have any frizz or dryness – hey presto! If you really do need to use stylers for a special occasion or event, get a great protecting product. 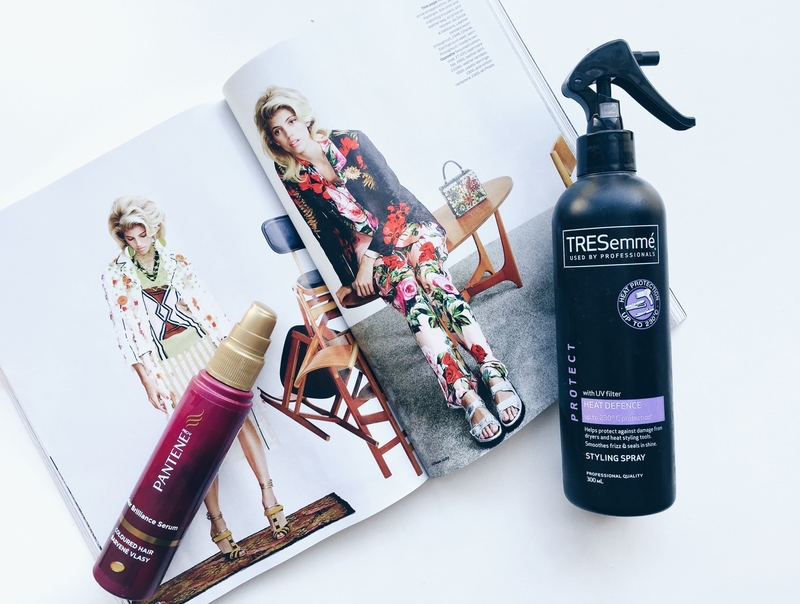 I spritz Tresemme Heat Defence Protect Styling Spray through each section of hair before I use my stylers to make sure I apply an effective barrier from the heat. 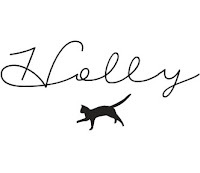 Plus, the packaging will get your feeling like a pro stylist. TIP – If you really can’t live without styling your hair, opt for more natural methods. I love plaiting my hair in different ways to get subtle beachy waves, or that 90’s crimped effect. You can also by heat-free bendy or sleep rollers in any Boots/Superdrug store. One thing that I’ve really been getting into is giving little injections of much needed moisture throughout the day, as my hair does tend to get drier as the hours pass. 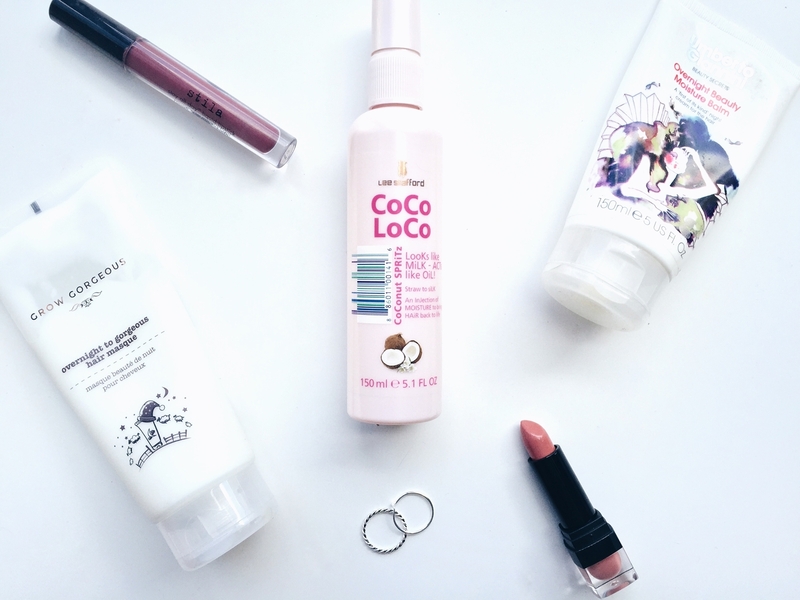 I absolutely adore Lee Stafford CoCo LoCo Coconut Spritz*, which not only smells like a tropical cocktail, but instantly leaves my hair feeling softer, and looking shiner. I have used quite a few hair oils and the ones I recommend are Pantene Color Brilliance Serum for Coloured Hair (save) and Kerastase Serum Oleo-Relax (slurge). I used both in the same way, and not at all as it instructs on the products. Before I go to bed, I cover my dry ends in this golden goodness, and I don’t use it sparingly either. Then it’s your preference, wrap your locks up in cloth, use a shower cap, or simply plait it back. When you wake up in the morning, all of the oil will have been absorbed, and you’re left with soft, manageable hair. You can also do this with natural unscented Coconut Oil. It’s a lot cheaper, and a little goes a long way. Just melt the oil slightly, and smooth it over your dead ends for some much needed TLC. TIP – I wouldn’t go anywhere near heated stylers directly after using this technique as the oil will help to fry your hair under the high temperatures, eeek! What do you to to make your hair more manageable and moisturised?